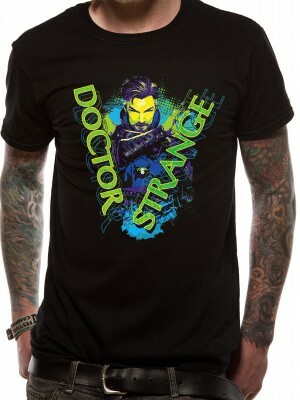 Doctor Strange is a famous American superhero film which is based on the Marvel Comics character of a similar name, delivered by Marvel Studios and distributed by Walt Disney Studios Motion Pictures. The film is coordinated by Scott Derrickson, who composed the film with Jon Spaihts and C. Robert Cargill, and stars Benedict Cumberbatch, Chiwetel Ejiofor, Rachel McAdams, Benedict Wong, Michael Stuhlbarg, Benjamin Bratt, Scott Adkins, Mads Mikkelsen, and Tilda Swinton. 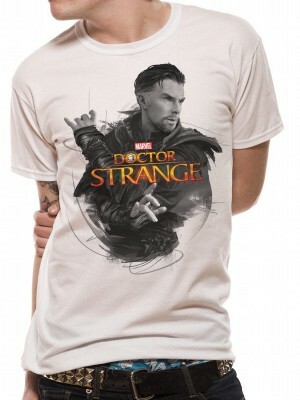 DR STRANGE T-Shirts which we offer at Plain-t-shirts.co.uk forms part of our movie, games and music official merchandise range. 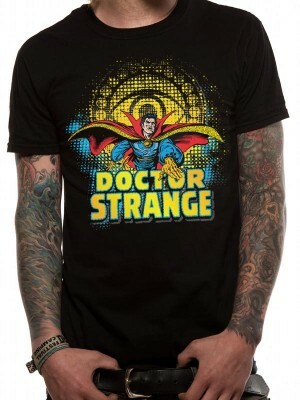 DR STRANGE range we offer fast delivery all over UK/EU DR STRANGE - STRANGE & LOGO (UNISEX) which we offer which you c.. 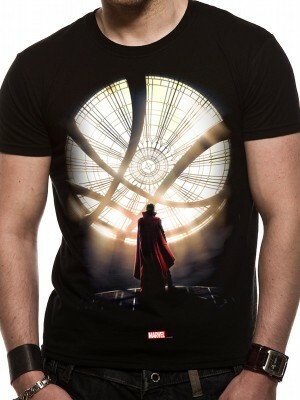 Different incarnations of a Doctor Strange film had been being developed since the mid-1980s, until Paramount Pictures acquired the film rights in April 2005, for the benefit of Marvel Studios. Thomas Dean Donnelly and Joshua Oppenheimer were acquired on board June 2010 to compose a screenplay. In June 2014, Derrickson and Spaihts were hired to direct and re-compose the film, individually. Cumberbatch was chosen for the eponymous role in December 2014, requiring a schedule change to work around his different commitments. The film started central photography in November 2015 in Nepal, before moving to the Hong Kong, United Kingdom, and closing in New York City in April 2016.